Why Choose Schultz Appraisal Agency? Personally scheduled meetings at the Town Hall are available upon request, Tuesday thru Thursday during normal business hours. Appointments can generally be accommodate within 5 days. Please go to the “Contact Us” Tab located on the top of the web page and send us an email or call us at 262-392-9828. Contact by our office to schedule the appointment will typically occur within a 48 hours. Personally scheduled onsite property review appointments are available upon request, Tuesday thru Thursday during normal business hours. Appointments can generally be accommodate within 10 days. Please go to the “Contact Us” Tab located on the top of the web page and send us an email or call us at 262-392-9828. Contact by our office to schedule the appointment will typically occur within a 48 hours. These are two sources for Assessor Data. We have provided both a free and a subscription (paid) source. 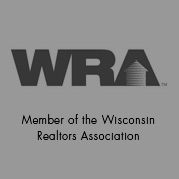 Site provides free general property data information. AssessorData.com - Commercial Fee Site (Prepaid Commercial Subscription Site) – Site provides detailed property data information for a prepaid subscription fee. 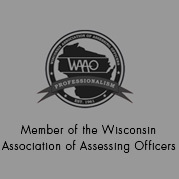 Assessment Valuations have been Published Online at the Waukesha County Website and are available at the Town hall for Review. (TBA) 10pm to 12pm “Scheduled Appointments Recommended”. (TBA) by Scheduled Appointment Only. (TBA) starting at 6pm by Appointment Only. The Board of Review is a quasi-Judicial body that hears testimony and decides appeals by property owners regarding their assessment values. The Board also reviews and corrects any apparent errors to the assessment roll. Open book refers to a period of time before the Board of Review when the completed assessment roll is open for examination. 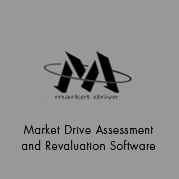 The assessor is required to be present for at least 2 hours while the assessment roll is open. 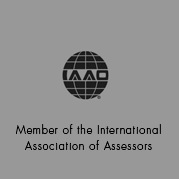 The period of time is intended to be an informal opportunity for the taxpayer to review the accuracy and correctness of the data in their property record card: share additional information that could “potentially” make the assessor reconsider his value and obtain more information on how the value of the property was determined. In order to keep the survey secure, it’s been designed to require a unique password from our office to participate. Please contact our office by email thru the “Contact Us” Tab to request a password to access and complete our survey.